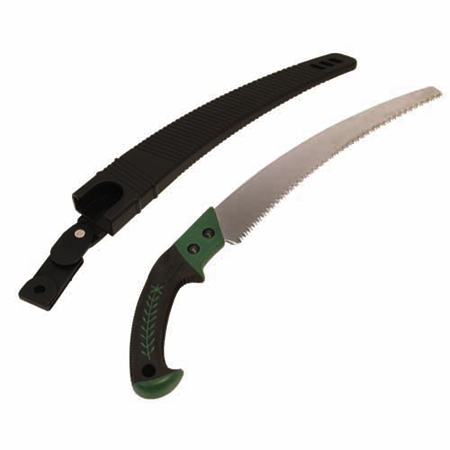 With its impressive 33cm (13") long blade, whose triple cut teeth make quick, clean, clog-free cuts on both push and pull strokes, this superb saw will make short work of pruning branches up to 14cm (5½") in diameter. The cushioned hand grip with thumb pad helps ease fatigue and ensures a straighter cut, and the holster can be clipped to your belt for safety and convenience. Will make short work of pruning!